December can be a grim month. The many hours of darkness between sunset at 4pm and sunrise at 8am can wear down the best of us, and me in particular. What is one to do then on a cold, drizzly Saturday in winter to lift one’s spirits? Visit a railway museum, of course. I don’t remember how I first heard about the East Anglian Railway Museum, but it cannot have been long since I moved to Cambridge in October. I thus decided to seize the day and make my way to the village of Wakes Colne, where the museum is located. 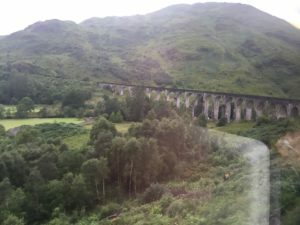 Fortunately, one can reach it by train. It is not that convenient, however, and we will soon learn why. 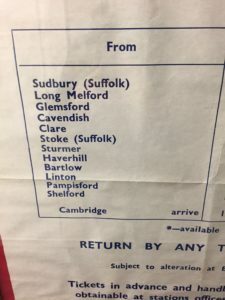 Although Wakes Colne is only about 40 miles away from Cambridge, it takes nearly two and a half hours, and four different trains, to reach it. I didn’t mind this though, since I was new to the region and thus very keen to use as many different lines as possible. 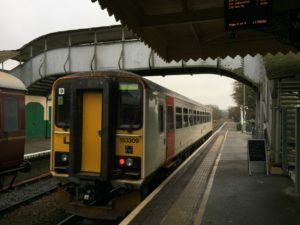 After changing at Ipswich and Colchester, I reached Marks Tey, where the branch line to Sudbury starts and terminates. 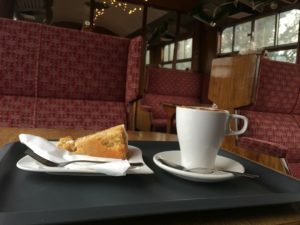 This is an especially cute line, since there is a single carriage train that goes back and forth between Marks Tey and Sudbury, via Chappel and Wakes Colne and Bures (the latter has only very recently, after I visited, been made a request stop). The very last train of each day goes all the way back to Colchester, in order to go to sleep in the depot. 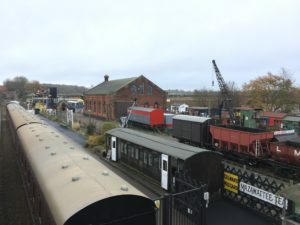 The museum is not big, but has everything one would expect: Locomotives and carriages, sheds and and a signal box, model trains, lots of signs and other railway memorabilia. At the far end of the premises are some unspectacular looking buildings, and a sign informs me that they used to be army barracks, which were donated to the museum some years back. 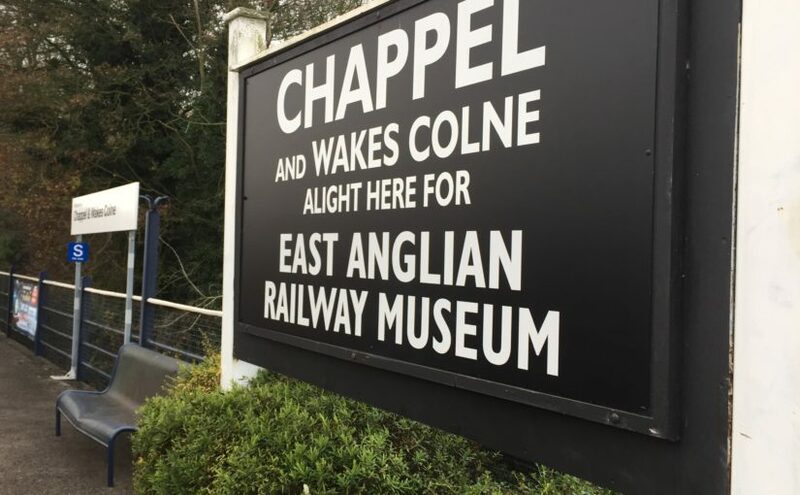 Here a small exhibition about the history of railways in East Anglia is housed, and this brings us back to the topic of how arduous the journey from Cambridge to Chappel and Wakes Colne is nowadays. It is regrettable for many reasons that this line is no more. For once, it would have been much easier for me to get to the museum if it were still in operation. Furthermore, it would make visiting the village of Linton more convenient, which is famously the home of Linton Travel Tavern – equidistant between London and Norwich! 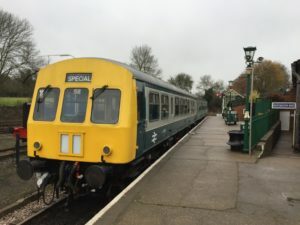 I started to mourn the closure of the Stour Valley railway even more when, a couple of month after this trip, I learned about the TV series Lovejoy, which portrays the adventures of an East Anglian antique dealer. 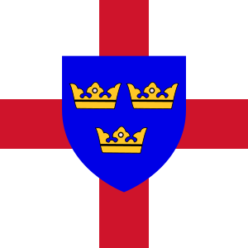 Many episodes of this show, which apparently “put East Anglia on the map”, are set and were filmed in and around the attractive-looking villages of Long Melford and Lavenham. This naturally made me curious and I would like to explore this area, but nowadays it is quite difficult to get there by public transport, so I haven’t been able to make the trip yet. (Now that I have a bike this has become more feasible though). Pleased with the trip, I then went to the platform to wait for the first of many trains that would bring me back to Cambridge. One surprising fact that I only learned about after I returned is that the britpop band Blur – which I really like – played their first concert in 1989 in the goods shed of the Railway Museum! There is even a plaque to remember this important event, which I failed to spot on my visit. (They also came back for a concert in 2009). One should keep in mind that Blur are from nearby Colchester though, so this coincidence is not quite as strange as it may seem at first.